The book was written from 1976-1979. It was accepted for publication by Arkham House in 1979. Normally, a manuscript takes 1 year from editing to release. The Darkling took 2 1/2 years. The delays were a result of the editor busily rewriting the prose without the permission of the author, causing abnormally stylized prose phrases to be peppered throughout the work. The author hated it and let the editor know. Editor and author never communicated again. 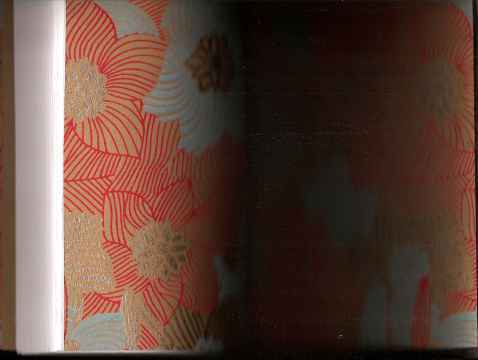 The book was released in 1982 in a pressrun later determined to be about 3,167 copies. Subsequent reviews misidentified the abnormal prose injections as originating from the author. With the aid of science fiction writers (Anne McCaffrey), and the Science Fiction Writers Association (Barry Malzberg), Arkham House lawyers quickly relinquished full rights to the author. 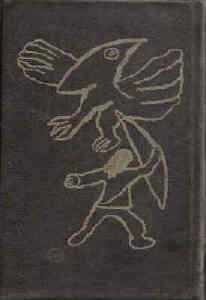 Arkham House retained the right to sell out the remaining copies. The editor eventually lost his position as a result of similar behavior. Shortly thereafter, the author's agent died. A sequel to The Darkling never made it to publication. For 28 years The Darkling wallowed in oblivion, appearing only now and again as an insignificant oddity in online auctions. In 2010, with the advancement of technology, the author decided it was time to set the record straight. Six illustrations were added, the prose restored, and the book was engineered as an object that would not fall into the usual book graveyards. Second-hand store bins are filled with dog-eared volumes machine-made from pulp and cardboard. 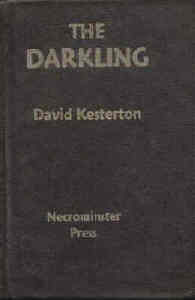 The resurrected Darkling is bound in leather, printed on presentation quality paper, with endpapers of parchment and hand-crafted, textured paper from India. This is the only book ever published (as far as known) which has two first editions. The Arkham House first edition came out in 1982. This revised, authorized edition was released in 2011. It is the correct, authorized, first edition. 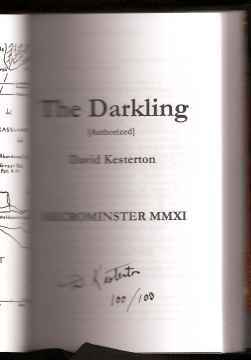 Printing was limited to 5 archive copies (author's copy, archive copy, three extra copies) plus 100 collectors' copies, all numbered and signed. The volumes are intended mostly for libraries. 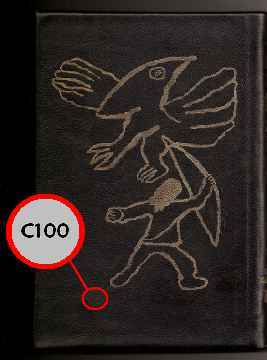 This is also the only book of a commercial level (accepted for commercial publication) in an edition of at least 100 to be entirely bound by the author: every sewn stitch, every printed page, every drop of glue. It is also the only book ever to have each copy individually distinguished multiple times. Each is signed and numbered, each is printed to indicate the copy number along with a unique authentication code, and each is laser engraved on the leather cover with the copy number. 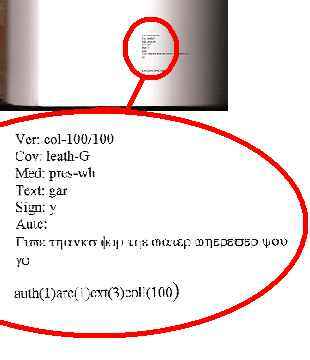 This was done so that library copies that are lost can be uniquely identified. Features: Illustrated by author. Bound by Author. Leather cover, laser engraved. Copyright ©2010 Necrominster Press | All Right Reserved.